Udayan Care USA was founded in 2010 as a 501 (c)(3) non-profit by Jesse George-Nichol and Ricky Surie, US citizens who, while in India, volunteered their time to improving the lives of disadvantaged children. 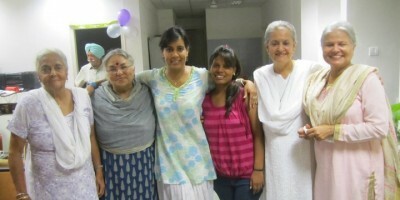 They developed a passion for their work and believed that once friends/family knew of the tremendous need in India that they, too, would want to be involved. Thus, Udayan Care USA was born. To address the lack of care and protection of orphaned and abandoned children, and of education and empowerment of girls from lower income families, Udayan Care USA has partnered with Udayan Care India which we believe is effectively and efficiently working towards making positive change. The support from Udayan Care USA has helped Udayan Care India elevate these children to a better life and to be productive members of society through two main programs, the Udayan Ghar and the Udayan Shalini Fellowship (USF), which have been in existence since 1994 and 2002, respectively. To regenerate the rhythm of life of the disadvantaged in India.